The Australian Open has announced plans to introduce heat breaks across the board should temperatures in Melbourne soar too high. At the 2018 tournament it got as hot as 40 degrees Celsius in the shade, while the likes of Novak Djokovic criticised organisers after the failure to suspend matches being played in extreme conditions. A 10-minute break for women's and junior's singles was already in place, but under the new rules, men's singles' matches will also take a 10-minute rest after the third set, should temperatures reach a pre-determined level. Tournament organisers have implemented a new "Heat Stress Scale", which provides a "more comprehensive measuring of weather conditions at Melbourne Park". "The well-being of all players at the Australian Open is our utmost priority and we have developed the Australian Open Heat Stress Scale after months of research and testing," said tournament director Craig Tiley. "The AO Heat Stress Scale ranges from one to five with specific recommendations associated with each step of the scale – one denoting temperate playing conditions and five the suspension of play." 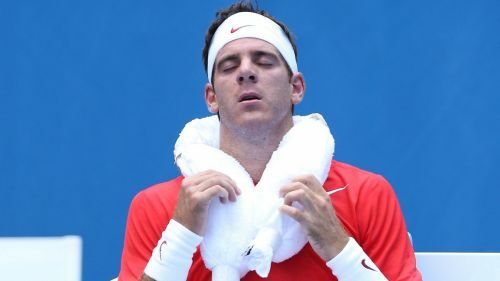 "The AO Heat Stress Scale takes advantage of the latest medical research into the effects of heat on the human body including the maximum heat stress an athlete can safely withstand, the sweat rate of that person and their core temperature," added Tennis Australia Chief Medical Officer Dr Carolyn Broderick. "The scale also accounts for the physiological variances between adults, wheelchair and junior athletes while also taking into account the four climate factors – air temperature, radiant heat or the strength of the sun, humidity and wind speed – which affect a player's ability to disperse heat from their body." The 2019 event begins on January 14.